The death of Lee Kuan Yew has shown that much of the rest of the world believes that he brought about an economic miracle in Singapore. Furthermore the world believes that this miraculous progress was due to his leadership skills alone and that no other person except him would have been able to achieve the same. The iconography and the hagiography have long been etched deep into the mythology of Singapore and almost universally accepted.The fact that Lee senior was not even an economist and so an unlikely proponent of an economic miracle seems to have passed everyone by as have the contributions of Goh Keng Swee and Albert Winsemius. Like all Singaporeans I have become inured to the never-ending, “Oh hail the dear leader who led us forth from the primordial mangrove swamp” type of propaganda. The hapless and charmless Singaporean teenager Amos Yee pointed out in his now illegal You Tube broadcast that Lee Kuan Yew’s books are shoved in your face at every turn. But then Amos Yee is only 16 and hasn’t had as much time to get bored with it all as some of us older Singaporeans. Despite this, even I was impressed by the cringe-worthy sycophancy of an FT editor, David Pilling who wrote just before LKY’s death that, “His [LKY’s] punchily written memoir, From Third World to First, shows an acute awareness of his achievement in conjuring a prosperous city state from an unpromising history and geography.” Sadly, Pilling’s paean was as short on quantifiable facts as it was high on praise. I wrote a letter to the FT rebutting it which as usual the FT declined to publish. You can read my letter below and the original article here. David added a new twist to the old myth with his assertions about our unpromising geography and history. Not to mention that he unquestioningly accepts the title of Third world to First. I will just take a short detour into a mini blog article, to deal with that book’s unpromising title as it perfectly illustrates Lee Kuan Yew’s second rate intellect, willful adoption of outmoded ideas and deliberate mendacity. From First World to First World and how we never achieved Third World status. The terms First, Second and Third World came into usage in the 1950s at the height of the cold war era. First World referred to the nations that allied with the United States namely: The UK, Western Europe and other Allies such as Canada, Apartheid South Africa, The Philippines, Thailand, Iran under the Shah, Turkey, Namibia and Australia. Second World referred to those nations that allied with the Communist nations of the Soviet Union and China namely: Ethiopia, Yemen, Eastern Europe, Vietnam and Cambodia. All other Nations that were not aligned with either the US/UK as First World or with The Soviet Union /China as the Second World were called the Third World. Namely India and Pakistan much of Africa but also Sweden and Finland and Switzerland. Yes, those Swiss standards of living are Third World standards. So if we want to be accurate the title of Lee Kuan Yew’s book could be translated as From Switzerland To The Philippines, From Sweden To Namibia or the more snappy, from Finland To Thailand. The fact is that by those definitions we were already First World by 1975 when the terms came into being and definitely by 1959 before Lee Kuan Yew came onto the scene. It is true that possibly because much of Africa was in the Third world it became common to link Third World with underdeveloped, lacking economic prosperity or poor standards of health and education. Similarly prosperity and democracy became synonymous with the US and The First World. However and this is a big however, used in that way these terms are not only inaccurate but are viewed as pejorative terms, as classifications that judge rather than describe. Educated people don’t use them as we have more accurate terms such as lesser developed, fully developed and emerging. I remember my own son at the Primary school level talking about developing and emerging economies in geography. As those World Classifications were outmoded and false decades before the paperback of his self promotional opus hit the shelves why then did Lee Kuan Yew still use them? He could not have been unaware that he was pulling the wool over everyone’s eyes. Returning to Pilling’s paean let’s examine his claim that we in Singapore had an unpromising geography. Whereas before he was uncritical now he is simply spouting nonsense. The less dramatic and simple fact is that our geography has always been our blessing, going a long way to make up for our shortage of land and natural resources. Already under the British, Singapore was one of the busiest ports in the world. Singapore is and always has been blessed with one of the best natural harbours in the world. We have an unparalleled strategic location at the mouth of the Straits of Malacca through which around 40% of the world’s container traffic and a large part of the world’s oil passes. Lee Kuan Yew didn’t arrange, lead or masterfully control this. 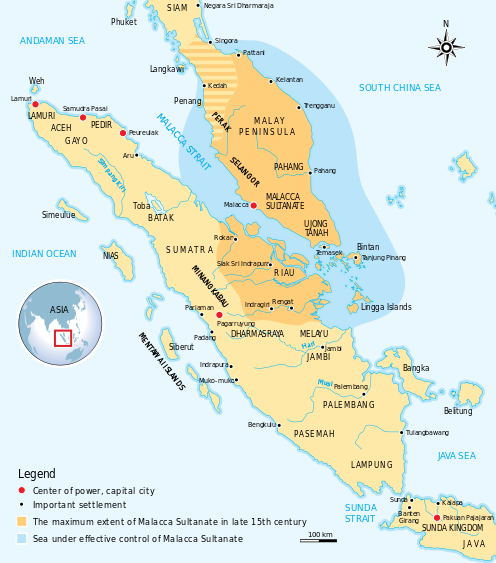 Talking about history lets go back to the 16th century when the vitally strategic location of the Malacca Straits was recognized by the Portuguese who took Malacca in an effort to dominate the world spice trade, then in the hands of the Venetians. Swap spice trade for oil and you can see that from medieval times through to contemporary days of international sea borne trade our geography has been so promising that it is difficult to see how we could not have progressed. We find a similar story with our historic economic record. In 1929 according to the Maddison Project data (comparing GDP per capita for countries around the world over long time periods and converted into 1990 Purchasing Power Parity [PPP] $) Singapore’s GDP per capita was significantly higher than Japan’s. I repeat in 1929 our GDP per capita was already higher than Japan’s. In 1950, after the Great Depression and the War, Singapore’s GDP per capita was still significantly higher than the rest of Asia. There is a wealth of other data, photographic images and contemporary source material that I could produce in the same vein such as our exceptionally low infant mortality rates which in 1960 were already lower than Germany, Spain or Italy and close to US and UK levels. I could show how the seeds of a middle class, one of the defining features of a developed economy, were already evident in the Chinese merchant classes of the late 1800s, then swelled by the British Empire’s Eurasian civil servants and their Indian clerks. The fact is we weren’t an underdeveloped country before Lee Kuan Yew but did Singapore do noticeably better later in the period under Lee Kuan Yew’s authoritarian leadership than it would have done without the PAP in charge? So during the relatively brief period of prosperity after WWI before the Great Depression and WWII Singapore’s GDP per capita grew only slightly slower than the growth rate during the 1960s and 1970s and faster than it grew after 1980. Interestingly in 1950 Hong Kong had almost the same per capita GDP as Singapore and in 2010 it was still slightly higher. The only period against which the PAP’s growth record looks noticeably better was the 1950s, when of course there was a chronic dollar shortage caused by a persistent American current account surplus. This led to constraints on the growth of world trade and the recovery of the war-affected economies. It was only in the latter half of the 1960s with the US involvement in Vietnam, the overvaluation of the dollar and the deterioration of the US current account from surplus to increasing deficit that world trade really took off. Singapore’s economic growth is of course directly related to the growth in world trade given its position as one of the world’s major ports. After 1965 world trade grew at a much faster rate than during the interwar or immediate post-war years, which explains a large part of Singapore’s faster growth after independence. This suggests that Singapore could hardly have failed to prosper as long as it adopted an open-economy export-led industrialisation strategy capitalizing on our position at the centre of world trade. It suggests that Lee Kuan Yew’s skill was in grabbing hold of the tiger’s tail at an opportune moment and hitching himself a ride. 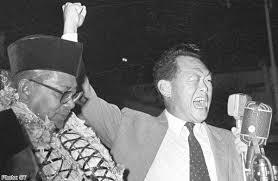 However, even though LKY had Goh Keng Swee, an LSE economist on his team, the adoption of this strategy may not have happened if Tungku Abdul Rahman, the Malaysian PM, had not thrown LKY out of the Federation. LKY was of course not much of an economist. Before Singapore left Malaysia, LKY favoured a Soviet- or Indian-style import substitution model rather than an export-driven one. After Malaysia threw Singapore out, the PAP leaders did not have much choice but to adopt an export-driven industrialisation strategy. Credit for this belongs to Albert Winsemius who was Singapore’s economic adviser from 1961 to 1984. There was nothing particularly cutting-edge about it. In fact, the plan was based on a simple model in vogue at the time called “Economic Development with Unlimited Supplies of Labour” put forward by the West Indian economist and Nobel prize winner Arthur Lewis in the 1950s. Lewis’s model was similar to the Soviet model of extensive growth relying on using abundant cheap labour employed at subsistence wages, which could then be used to finance investment and employ more labour. That is precisely what Singapore did. The CPF scheme channeled workers’ savings into investment. Foreign investment was encouraged through tax breaks and the availability of cheap reasonably educated labour. The Government also nationalised much of the land and established state champions in what were judged to be the most promising industrial and service sectors taking control of much of the economy that was not owned by MNCs. A large part of Singapore’s growth in GDP per capita after 1965 was the result of adding more inputs rather than getting higher output from each unit of input. While Singapore’s economic development appeared miraculous, it was really no different from the Soviet Union’s a decade or two earlier, as Krugman pointed out in his 1994 essay in Foreign Affairs. At one time many economists feared that the Soviet Union was about to overtake the US economy in size because of its much higher rates of growth even though its productivity was much lower. Similar fears were expressed about Japan in the 1980s. Consider, in particular, the case of Singapore. Between 1966 and 1990, the Singaporean economy grew a remarkable 8.5 percent per annum, three times as fast as the United States; per capita income grew at a 6.6 percent rate, roughly doubling every decade. This achievement seems to be a kind of economic miracle. But the miracle turns out to have been based on perspiration rather than inspiration: Singapore grew through a mobilization of resources that would have done Stalin proud. The employed share of the population surged from 27 to 51 percent….. Even without going through the formal exercise of growth accounting, these numbers should make it obvious that Singapore’s growth has been based largely on one-time changes in behavior that cannot be repeated. Over the past generation the percentage of people employed has almost doubled; it cannot double again…….And an investment share of 40 percent is amazingly high by any standard; a share of 70 percent would be ridiculous. So one can immediately conclude that Singapore is unlikely to achieve future growth rates comparable to those of the past. What this shows is that clearly Singapore’s growth was based on perspiration not inspiration. There was nothing innovative about what LKY and his team did. They cannot even claim originality which belongs to Stalin and the Soviet Gosplan economists and Arthur Lewis. I would never refute an assertion that Lee Kuan Yew was an efficient but ruthless administrator who would have thrived in the Soviet Union. Of course this growth strategy carries within it the seeds of its own destruction as increases in investment on such a scale lead inevitably to diminishing marginal returns. Krugman thought that the economic growth would slow down and stop when Singapore ran out of additional labour inputs. But for a long time the PAP were able to postpone the inevitable slowdown by throwing the floodgates open to abundant supplies of cheap labour from the surrounding region. Krugman could not have imagined that the PAP would increase our population by 60% in twenty years. The PAP leaders would of course like to keep adding meat to the sausage machine by increasing our population further to seven, ten million or even twenty million. Recent measures in Parliament to reserve space deep underneath our present buildings for future development hint at the magnitude of future population plans and also convey the poverty of LKY’s ideas. At the same time as the constraint on labour inputs was relaxed with unprecedented levels of immigration, there was no shortage of capital due to the very high levels of enforced saving through CPF. The share of savings in GDP (gross fixed capital formation plus net exports) has risen to more than half. Domestic consumption is only 34% of GDP, lower than in China. For a long time our excess savings have been channeled into buying overseas assets as the PAP Government have run out of investment opportunities in Singapore. There can be no better illustration of how inefficient our economic growth has been then our poor productivity record. LKY’s PAP always point with pride to Singapore’s high level of GDP per capita, which was ahead of the US but behind Norway and Luxembourg in 2013. But firstly Singapore should be compared with other cities not countries. On this basis according to the Brookings Global Metro Monitor our GDP per capita measured on a Purchasing Power Parity (PPP) basis ranks fourteenth globally below Macau at the top with twelve North American cities above it. I would caution that Singapore’s PPP GDP per capita is not a good measure of how productive the Singapore worker is. Singapore has a very high ratio of the employed labour force to total population. This is because almost 40% of the workforce are foreign workers with no dependents. Singaporeans also work the longest hours of any developed country. A better measure is to look at the productivity of Singaporean workers. As you might expect from the way growth has been generated without any rise in efficiency, on a GDP per hour worked basis we were in 21st place in a list of 43 developed and developing countries at only 62% of the US level as of 2013 (US Conference Board). Our GDP per hour worked is below Japan’s and around the same level as Hong Kong and Taiwan where there was far less state intervention and mobilisation of resources and also where the people have considerably more freedoms than Singaporeans enjoy. 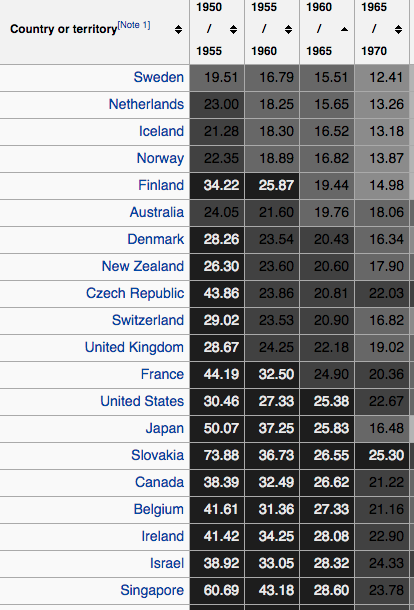 By contrast our GDP per capita ranking was 3rd. Over the period 2007-12 our GDP per hour worked fell by 0.1% per annum coming near the bottom of the table and above only Norway, Greece and Italy. In 2013 and 2014 productivity growth was 0.3% and -0.8% respectively. However GDP per capita and GDP per hour worked include the share of income going to profits and is thus not a good measure of middle-class incomes. Singapore’s inequality is higher than most developed countries, including the US, whether gross or adjusted for taxes and transfers. Even that is not the full story because Singaporean workers work by far the longest hours compared to workers in other developed countries. According to the US Conference Board Singaporean workers work 25% longer hours compared with US workers who in turn work about 20% longer hours than most European countries. 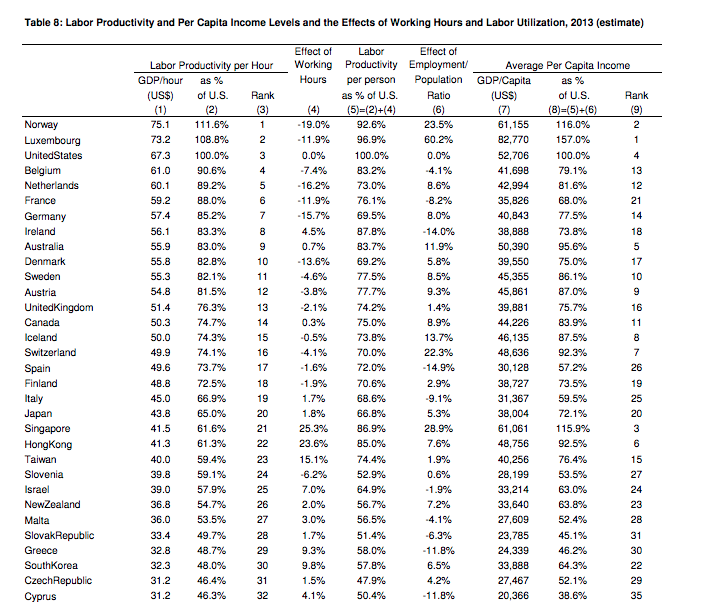 Singapore’s median per-capita income figure per hour worked would thus be about 20% lower if Singaporeans worked the same number of hours as US workers. This would put us below Spain and closer to Greece in terms of median per-capita income. Again Singapore’s figures need to compared with other global cities and not with countries. A UBS survey in 2011 of the domestic purchasing power of workers in 72 cities around the world put Singaporeans’ purchasing power on a par with Kuala Lumpur and below that of Moscow, Taipei, Tokyo, Hong Kong and Seoul. Mysteriously, after the PAP Government was sufficiently concerned to comment on the results, Singapore was quietly dropped from the following year’s survey while cities such as Kuala Lumpur, Mumbai, Jakarta and Manila continued to be included. At the beginning I looked at two areas: firstly in 1965 was Singapore an underdeveloped country devoid of natural advantages and secondly did Lee Kuan Yew’s policies result in rises in living standards that justified authoritarianism, the destruction of thousands of lives and the instilling of fear in a whole nation. I have shown the answers to the first two questions to be definitely no. Finally, would a different less repressive and more democratic system of government have been able to achieve the same results? The answer is definitely yes. Despite the carefully crafted hagiography and the promotion of Lee Kuan Yew as a role model for the developing world, he was not an original thinker but merely followed standard development theory at the time which owed much to the Soviet model. Just because Lee Kuan Yew ruled Singapore during a period of exceptionally rapid world growth does not mean that he should be given the credit for Singapore’s development, which in any case has been dressed up to look more impressive than it is. It is a false causality based on a statistical correlation. Western commentators are, in the words of Nassim Taleb, “fooled by randomness“. After fifty years it is clear that the next generation of PAP leaders have no new ideas and we are increasingly falling behind in the productivity and innovation race. We must move on from the claims of how much we have advanced and gained and look at how much we have lost, how much better our lives might have been how much better they still could be with a modicum of freedom and a large dose of inspiration. 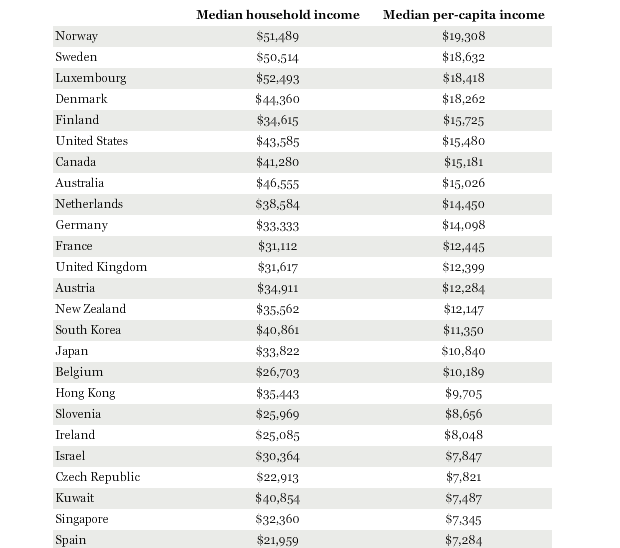 Pilling asserts that Singapore has a higher material standard of living than the UK, US and Norway. This is simply untrue. Even on GDP per capita, Norway’s is about twice Singapore’s. In any case, Singapore should be ranked against comparable cities and not countries. 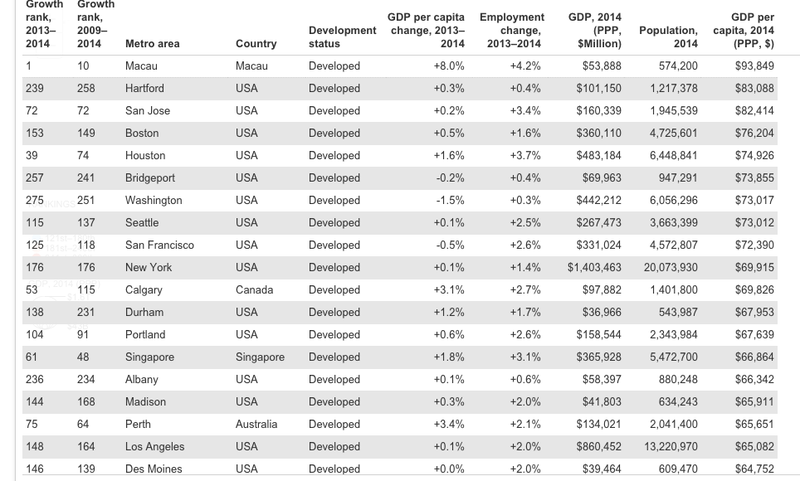 On the Brookings Global Metropolitan Monitor by comparison, Singapore does not even come in the top 20 metropolitan areas and in Asia Macau ranks above Singapore. Our distribution of income is also one of the most unequal in the world with a Gini coefficient of 46.3, higher than the US. A UBS survey in 2011 found the purchasing power of Singapore’s workers’ wages to be well below that of many other Asian cities and around the same level as workers in Kuala Lumpur or Moscow. Thank you for your work in pointing out the economic model which was employed in the past and now. It does shed some light to how Singapore can move on in the future if the current economic model is no longer practically feasible. However, I personally think that credit still has to be given for their effort in successfully mobilising the resources and accelerated the development of Singapore. Not that I am ignorant about the cost, and for the fact that the some cost is not quantifiable. There is a tradeoff to all policies and the benefit does seem to exceed the cost on the surface. IMO Sen. Elizabeth Warren delivery many hard hitting speeches right to the core, ask probing questions. Can watch from youtube if interested.